Vanessa and Alberto Perez-Litman live in San Leandro with their daughters Saasil (age 6) and Itzel (age 4). 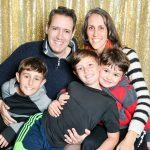 A Spanish-speaking family, they are raising their daughters with a blend of Jewish and Mayan/Mexican cultural values — making the East Bay a perfect fit for them. 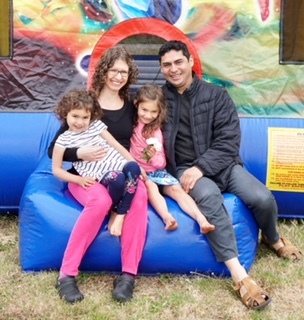 In addition to reading PJ Library books and attending Tot Shabbats at several different synagogues, the Perez-Litmans also received a Sprout Grant to participate in “Growing Together with Rabbi Bridget,” a Jewish education program for families. They enjoyed it so much, they plan to continue with the program for a second year.